Z-PRIME™ Plus is a single-component priming agent used to enhance adhesion between indirect restorative materials and composite resin cements. It can be used as a surface treatment for Zirconia and Alumina metal oxide ceramics, as well as other types of metals/alloys, composites and endodontic posts. 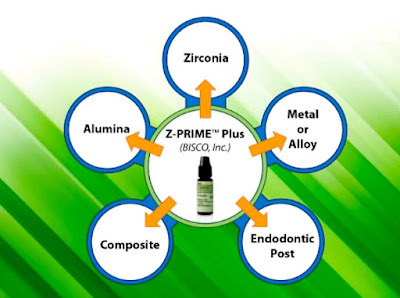 Z-PRIME Plus has been specifically formulated to provide high bond strengths in either self-cure or light-cure modes.